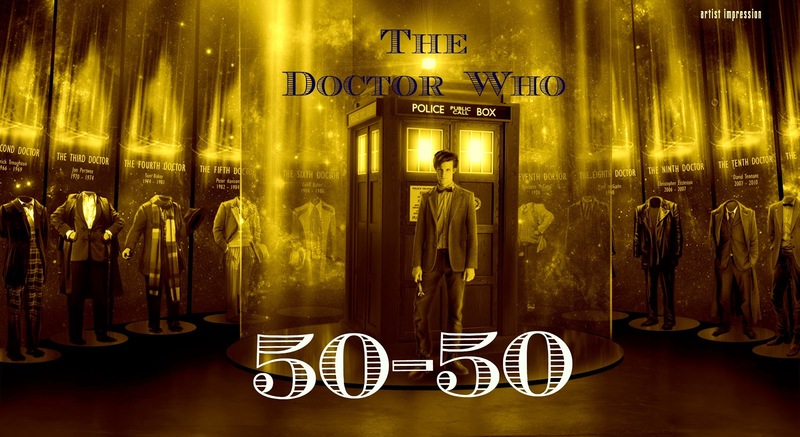 Well, the 23rd November 2012 has been and gone which means that the countdown to the fiftieth anniversary has well and truly begun. To celebrate this, I decided that I wanted to try and do something that would celebrate Doctor Who, in all its various forms. And thus I present the Doctor Who 50-50. This is quite a large and ambitious project because, as I say, I want to try and cover Doctor Who in all its various forms, not just the TV series. Obviously the TV series is hugely important but I didn't want to ignore everything else. After all, technically, it's not the television series that reached it's fiftieth anniversary but the character and the idea itself. On Audio: Although this section will be particularly busy during the 00's thanks to Big Finish, there are plenty of other radio plays, CDs and records that have been produced over the years and are worth a mention. All of that will be included here. In Print: Again, fairly self-explanatory, all manner of books and magazines will get a mention here. In Comics: Comics strips and comic books. I've kept this separate from the other print material as the comic strip has a lengthy history all of its own (a comic strip of some form has been running since 1964) and I didn't feel I could do that justice without giving it its own category. Elsewhere: Basically anything else I can think of that's relevant or interesting which doesn't fit into any of the above categories. So, that's the idea and that's the format I've decided to take. Hopefully it won't all fall apart in two weeks and I'll be able to keep this going to the end. I'm also bound to make a few mistakes or accidentally leave things out but I intend to be as exhaustive as I possibly can. If I do make any mistakes, though, please feel free to correct me. Anyway, join me tomorrow as we begin our marathon with 1963.